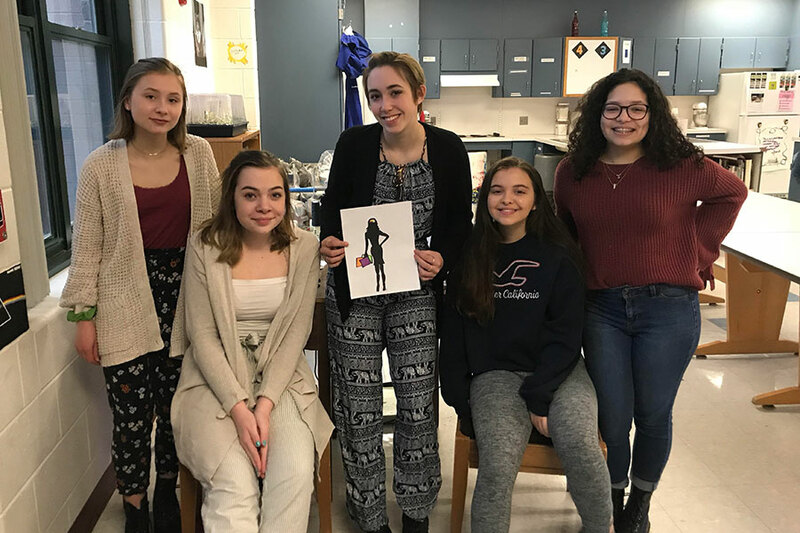 The five Fashion and Retail Merchandising students, Hultz, Holmes, Willett, Jusczak and Lopez, stand around Willett’s artwork that will be featured on the show’s poster. The poster will highlight how fashion is more than just clothing, but also how it can convey moods and feelings. “ [The goal] is to create awareness for people struggling with mental health. I don't want that to be the elephant in the room anymore,” said Hancock. On Wed, May 22, HB’s Fashion and Retail Merchandising class will be holding its second fashion show at HBHS since 2015. The show, named Retail Therapy, is an initiative to raise mental health awareness within both the school and community. Although the show will take place in May, there are many moving parts of the event that must be organized far in advance. Luckily, Candice Hancock, a Family and Consumer Sciences teacher at HB, and her Fashion and Retail Merchandising students are already working to organize the entire event. One unique feature of Retail Therapy is that it is being organized by mostly students. This year, there are only five students organizing the event: Victoria Lopez ‘20, Ella Holmes ‘22, Carolyn Hultz ‘22, Mackenzie Jusczak ‘21 and Stacey Willett ‘19. The girls are responsible for finding models, brainstorming ideas for the show, finding guest speakers, and making shirts for models to wear in the show. “There’s only five of us and some of us aren’t always here, so taking the ropes and not having an adult take all of the work is a lot of work,” said Hultz. In addition to the overall workload, there are other challenges that come with organizing the fashion show. Hancock wants it to be inclusive of the entire school and community, which means getting teachers and students from other departments to help make the night special. 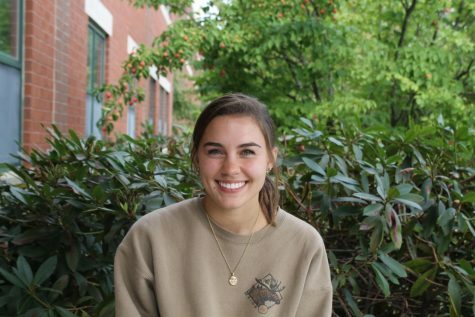 “Since it is a school-wide initiative, I want math involved, I want social studies involved, English involved, poetry involved, art, graphic arts…they should all be involved in our show and create the awareness piece for all of us,” said Hancock. Along with working with other teachers, Hancock and the Fashion and Retail merchandising students are also reaching out to companies and people outside of the school to be a part of the show. TJ Maxx will be providing outfits to be worn in the show, along with original clothing created by the Fashion and Retail Merchandising students. The girls’ own personal stances on mental health is yet another aspect that is sure to make the fashion show a special event. “I’ve grown up taught that mental health is very, very important. I think especially when you come to school, you want to make sure you’re not slacking. The event really shows the importance of mental health,” said Holmes. Because of the fashion show’s objective to raise mental health awareness, the group has decided that proceeds of the show will be benefiting Bridges, a local nonprofit that provides free services to domestic violence, sexual assault, teen dating violence, child sexual abuse, elder abuse, stalking and harassment. Retail Therapy is well on its way to the stage, but the Fashion and Retail Merchandising group is still in need of models for the night of May 22. If interested in participating, contact Candice Hancock at candice.hancock@gmail.com.